VHS to DVD. 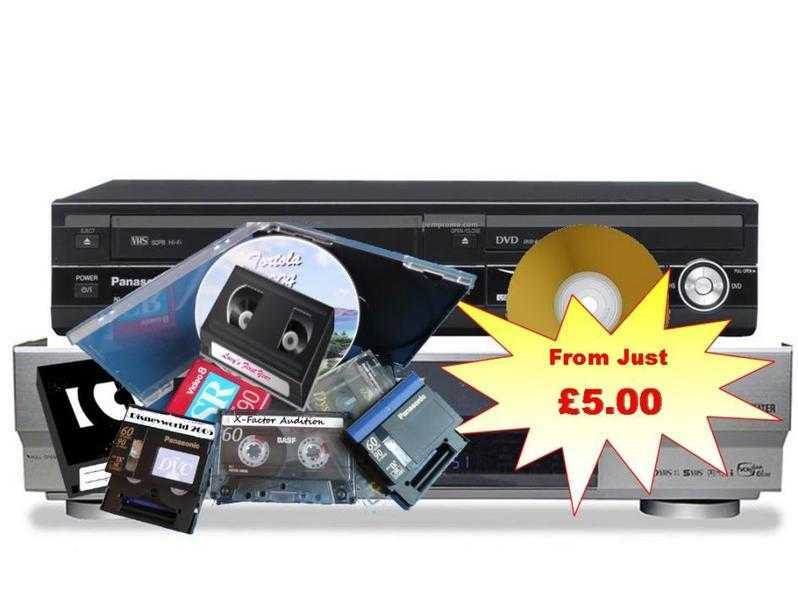 We transfer VHS and most Camcorder tapes onto DVD/CD or other digital media. We can put your Audio Cassette tapes or music albums onto CD or MP3. From £5.00. We also edit videos taken on camcorders, phones and cameras and put them onto DVD. This includes weddings, birthday parties and other events. We can combine videos from multiple cameras to create a "fun to watch" DVD. We also provide a data recovery service, rescuing lost files from digital media devices.